A Cancellation fee equal to the total trip cost including gratuity will be charged for any cancellation that is made less than two hours before the scheduled pick up time in the Philadelphia and Wilmington, DE metropolitan areas. All out of are pick-ups, require four hour notice. Celebrity Limousine is not responsible for passenger flights, which are missed, canceled, diverted, and delayed or any other incident that results in failure to comply with the required cancellation policy. We will exact our best effort to fulfill client needs, in these instances, subject to wait time fees or late cancellations and re-bookings, without detriment to other reserved clients. A no show fee equal to the trip cost plus applicable waiting time, tolls, parking, and gratuity will be charged when the passenger fails to show at the designated location for which a reservation has been made. A non-refundable deposit of 50% is required on reservations for weddings, proms, night on the town, and all hourly charters. A credit card authorization form and liability form is also required before reservations are accepted. Cash or Credit Card (American Express, Visa, Master Charge,and Discover) is the standard accepted and agreed upon payment method. Charges will reflect costs incurred while performing transportation services for reservations placed with Celebrity by the customer, its agents, and any individuals requesting transportation as an authorized employee of the customer and will reflect costs including but not limited to trip charges, tolls, parking, gratuity, Fuel Surcharge and cellular telephone charges. Upon credit approval, subject to minimum $ 2,000.00 per month volume, Celebrity will invoice clients upon completion of the reserved transportation with payment due upon receipt of invoice. Invoicing is contingent upon an executed Credit Card Authorization Form to be held on file to apply charges not honored in a timely manner. A late charge of $25.00 will be added to all credit card processed invoices if payment fails to reach us within 25 days from invoice date. Reservations may be booked 24 hours a day, 7 days a week, and 365 days a year. Reservations, changes or cancellations may be made by calling our reservation numbers. Toll Free Nationwide 1-877-651-2800 or in Delaware 302-778-2800. In addition, reservations can be made via our website (www.celebrityworldwide.com) or via email to reserve@celebrityworldwide.com. Reservations are accepted up to 24 hours in advance. Less than 24-hour notice is subject to availability. It is suggested that the Customer supplies Celebrity Limousine's toll free number to all traveling passengers. Our professional chauffeurs provide bottled water and snack items for all travelers. The current days' newspaper is also available in each vehicle. Celebrity Limousine and Customer each agree to defend, indemnify, and hold harmless the other party from and against all claims, actions or causes of action, liabilities, including reasonable attorneys' fees, and costs arising from the defense of any claim, action, cause of action or liabilities arising out of or resulting from any act taken or committed by Celebrity Limousine or Customer pursuant to the performance of each party's obligations hereunder. Celebrity Limousine and Customer each agree to defend, indemnify, and hold harmless the other party for any claim, action, cause of action, and liabilities which may be asserted by third parties arising out of the performance of either party's obligations pursuant to this contract, except for the willful misconduct or gross negligence of the other party. Celebrity Limousine and Customer shall obtain and maintain and provide evidence of insurance upon request in amounts sufficient to provide coverage for any liabilities arising out of or resulting from the respective obligations pursuant to this agreement. If there is a dispute concerning the quality of service and / or any incidents thereto, the parties agree that they shall resolve such dispute by good faith negotiation or common law binding arbitration. If one party agrees to waive its right to enforce any term of this agreement, it does not waive its right to enforce such term or any or all other terms of this agreement at any other time.  Celebrity Limousine does not guarantee arrival at or departure from any point at a specific time due to circumstances beyond its control such as accidents, breakdowns, traffic and road conditions, storms, etc. and shall not be held liable for claims resulting in delays from such conditions. Celebrity Limousine reserves the right to substitute the contracted vehicle in the event of such an occurrence mentioned above with a vehicle of like kind and quality. Customer waives all claims for consequential damages and agrees that liability shall be limited to the costs accrued to Celebrity Limousine for the disputed service. This agreement shall be governed by and construed under the laws of the Commonwealth of Pennsylvania. If any provision of the contract is unenforceable under applicable law, the remaining provisions shall continue in full force and effect. In the event any legal action is taken by either party against the other party to enforce any of the terms and conditions of this agreement, it is agreed that the unsuccessful party to such action shall pay to the prevailing party therein all court costs, reasonable attorneys' fees, and expenses. If agreement as stated above meets with the approval of Customer, it will be considered accepted in its entirety unless written notice is received within 5 days by Celebrity Limousine. Effective 01/01/10. Subject to change without notice.